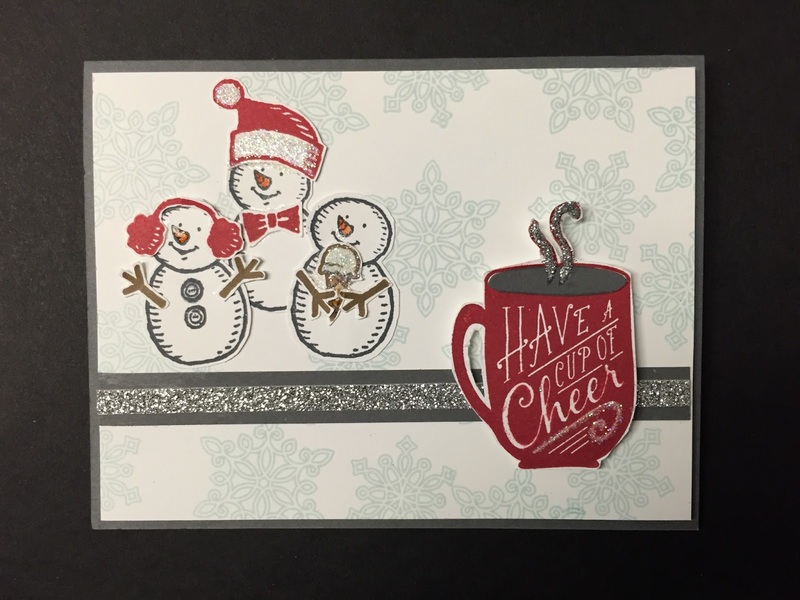 I created today's card because I love a hot beverage. husband. I enjoy coffee or tea with friends. because of a snow day). "Have a Cup of Cheer"
warm and cheerful when I have a hot beverage. YOU may "have a cup of cheer"
number of cups of cheer. Here is a list of supplies used to make this card. 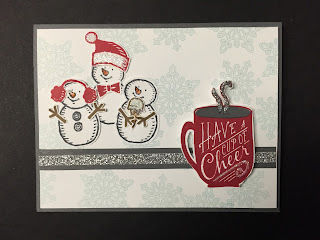 Labels: Craft D Bear, Cup of Cheer, Denise Donald, Flurry of Whishes, Snow Friends, Stampin' Up!